8. Highway, railway, automobile, watercraft, mining petroleum, electrical industry, food industry etc. 1. JHBW-AH3000 has passed CE, ISO9001 Quality Management system certification, completely independent intellectual property design and production, has declared a number of national invention patents. 2. 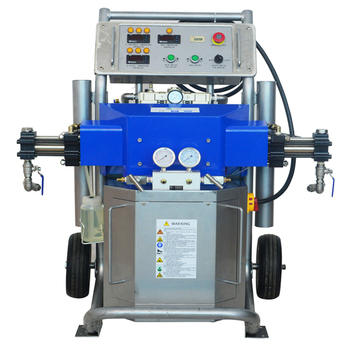 This equipment low failure rate, easy to move, easy to operate, heating faster, spraying evenly, save 10% material. 3. The flat-type booster pump has the perfect coaxial structure design, minimizing the wear of the seal ring. 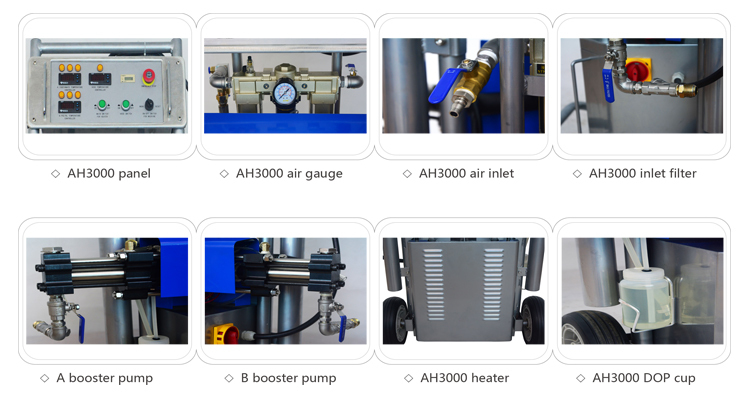 The two-way pressurization design minimizes the pressure fluctuation, and the spraying effect is more stable than the traditional booster pump. 4. Equipped with isocyanate anti crystallization & lubrication device, the circulating lubricating fluid can take away the leaking isocyanate or the magazine at any time, the pump shaft always infiltrates in the lubricating fluid, avoids the isocyanate crystallization. 5. The cylinder is equipped with the prevention of cryogenic icing device, so that the equipment can still work normally under low temperature condition. 6. Accurate counter allows you to accurately calculate the amount of raw material. 7. The heater uses a special frequency control device, the temperature sensor real-time acquisition of temperature signals, so that the heater is in good control. 8. 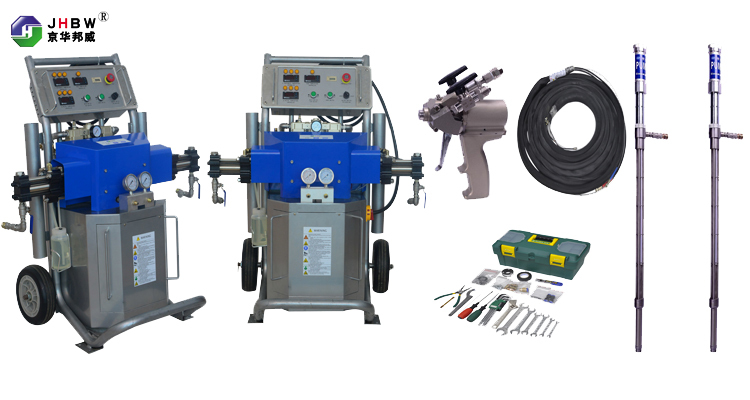 This equipment has the overheating protection device, simultaneously uses the famous import component, causes the equipment performance to be more stable and reliable. 9. Equipped with emergency switching system, can be the quickest response to emergency situations. 10. Installation of front filter, can effectively filter impurities in raw materials, reduce the occurrence of gun blocking. 1. We packed the machine in the plywood carton, to make sure it safety transportation. 2. We support shipping by ocean, air, truck and express, please consult the shipping cost. 7. Engineers on-site service (some countries and regions). 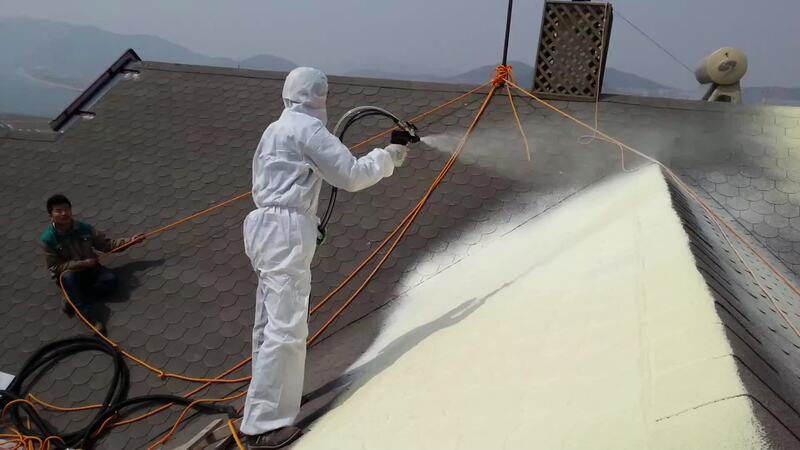 Jinan Jinghua Bangwei Polyurethane Equipment Co., Ltd.